There are industries that aren’t likely to be fully automated any time soon. Buying a wedding gown is one of them. That doesn’t mean that the businesses in these segments can ignore technology. Elizabeth Johns, with salons that serve the New York and Philadelphia metropolitan areas, recognized this. Andigo worked with their marketing team to create an updated website that is both a more effective marketing tool and includes an interactive MyCloset feature that is fun and useful for brides to be while still keeping the process very personal and hands-on. The website includes an extensive catalog of wedding gowns. (As well as bridesmaids dresses and other gowns.) Brides are able to save gowns they like to the private closet on the site. Elizabeth Johns consultants then review those gowns, prepare them in advance of each bride’s visit, and can be prepared to suggest other gowns the brides may find appealing. 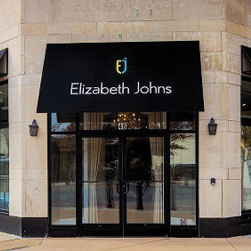 Other features like the Our Brides pages provide inspiration and ideas to prospective brides and help create a distinct brand personality for Elizabeth Johns.